What To Do 3 Weeks Before Moving | Moving Tips | Cummings Moving Co.
Make sure you have keys to your new digs in your hand. Get an extra set or two of new keys made at the hardware store. Stash them in safe spot – inside your Moving Binder. Contact your new apartment management or real estate agent and your moving company. This is the time to make sure everyone is on the same page and let folks know if any of the details have changed. Verify and confirm in writing move date and time. Arrange for additional moving services you may need. Give a good look at the packing that is left to do. 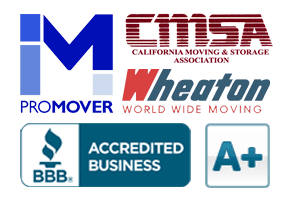 This is the time to get help from your moving company if there is any doubt. Let your movers know if there is a reduction in number of items being moved. Let your mover know if you think you may need mirror boxes, lamp boxes and wardrobe boxes. Get a final count on the pieces of furniture that will need to be wrapped and make sure that the proper blankets and furniture dollies will be on hand. Note: When working with an experienced mover like Cummings Moving Company, these things are handled. It is important for you to remember to ask if you are moving with someone else or doing it yourself. Make sure you have a plan for moving your plants. It is important to understand that some states do not allow you to move plants across state lines. We understand that plants are a source of great joy and that collection of Orchids or Succulents took time to cultivate. Consider finding a good home for your leafy friends with friends, family or a local charity that would benefit from the added beauty. If you must move them, please remember to talk with your mover about what is required to make that happen. Make any special arrangements needed regarding your pets. Take them to the vet a few weeks before the move to have them checked out, make sure their shots are up-to-date. Check with your vet to see what paperwork may be needed to satisfy any states that need a bill of health or proof of shots like a rabies vaccination. Make arrangements for disposal of any remaining electronic components or computers that you do not want to move and cannot sell. Consider eWaste Recycling. Make a plan to get your cable box and related equipment back to your cable company. Check with your cell phone company to see if it makes sense to bump up your data plan, minutes, texting or if it makes sense to get a wifi “hot-spot” for your laptop so you have a way to stay connected to the internet while in transit. For safe transport of your computers and entertainment electronics, look for information in the user manuals about the range of temperatures that is considered safe. If you find out that a piece of equipment is sensitive to heat or cold, look into the expected temperatures in the moving truck while in transit. If the truck is going to be in the heat or cold for an extended time and you are concerned for your computers and electronics, talk with the rep from your moving company and see what they suggest. By now you have started collecting the items of importance and value you plan to take with you. This is the time to make an actual list of these items. This way, you can check them off before you leave the old location to make sure everything is there and accounted for before you leave. Return any borrowed items from friends, family, library, etc. Pick up things at the cleaners, shoe repair shop and similar spots. Use up gift cards and coupons for local only businesses or give them to friends. Make a last check for other things you may need: carpet runners, hard-wood runners/protectors, catch-all bins for odd loose items and shrink wrap to hold things like stacks of shelves together, secure furniture blankets, doors and drawers. Make arrangement for the removal of hazardous materials that you cannot move. Ask your mover for a resource if you do not know of one in your area.